Confused by the recent election results in... well, everywhere? Here's a handy primer on 5 of the world's most interesting electoral systems. 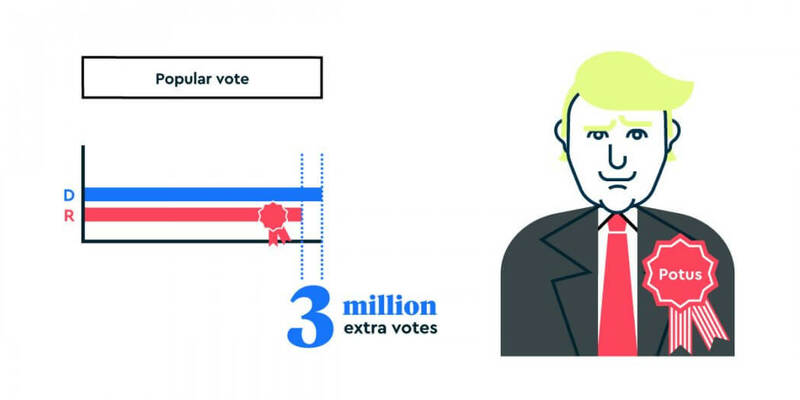 In the 2016 US Presidential Election, Donald Trump lost the popular vote to Hillary Clinton by around 3 million votes. Despite this, he was still elected President. Trump’s victory is due to the nature of the United States electoral system. To many outside the US (along with many inside), the system is confusing. How can someone lose, but win? But the US electoral system isn’t the only one to throw out strange results. “Losing” parties have also won in the United Kingdom. The last time this happened was in February 1974, when the Conservative Party gathered more votes than the opposing Labour Party, but lost power regardless. To help you understand why these strange results sometimes occur, here’s an explanation of a few of the most interesting electoral systems in the world. American presidents aren’t elected based on how many people vote for them, but on how many votes they receive in the Electoral College. This means when you go to vote in a US election, you aren’t actually placing a direct vote for your preferred candidate. Instead, you are choosing the candidate you want your state Electors to nominate in this Electoral College. Confused? Well, we’re not done yet. There are currently 538 state Electors in total, divided among the states depending on population size. So, Alaska, with a population of just 741,894 gets only three votes in the Electoral College, while mighty California, with its nearly 40 million souls, carries 55 votes. Most states (with a couple of exceptions) have a “winner-takes-all” system in presidential elections. This means that, if a candidate wins in California by just a single vote, they will secure all 55 of its votes in the Electoral College. Because of this approach to awarding votes, there have been occasions when the winner of the most votes in the electoral college differs from the winner of the popular vote. This has happened five times: in 1825, 1876, 1888, 2000, and 2016. 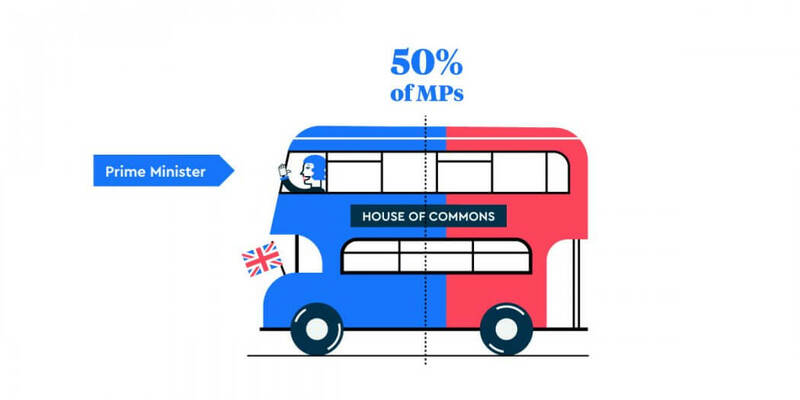 In the United Kingdom, power lies in the House of Commons and its 650 MPs. Each MP represents a small area or constituency. After an election, the Prime Minister will be the party leader who can command the votes of over half MPs, either just with their own party, or in a coalition. When a leader is sure they can get these votes, they visit the Queen in Buckingham Palace and ask to form a government. … the electoral system in the UK does have its peculiarities — and we’re not just talking about the unusual constituency names: “Penistone & Stocksbridge,” “South Holland & The Deepings” and “Old Bexley & Sidcup”, to name a few. Consider referendums. Unlike in many other countries, referendums in the UK aren’t legally binding. This means that, if they wanted to, the government could simply ignore the result. Consider the recent referendum on Britain’s membership of the European Union. Although the vote was narrowly won by the ‘leave’ side, each political party has interpreted the result differently. The Conservatives have decided on a ‘hard Brexit’ where Britain leaves all the institutions of the EU, the Labour Party favor a ‘softer,’ less brutal Brexit, and the Liberal Democrats are campaigning to stay in the EU. In other words, the referendum result means whatever anyone wants it to. The German electoral system is probably one of the most complex in the world. In fact, it’s so complex that most Germans don’t fully understand it. But at least it’s fair. 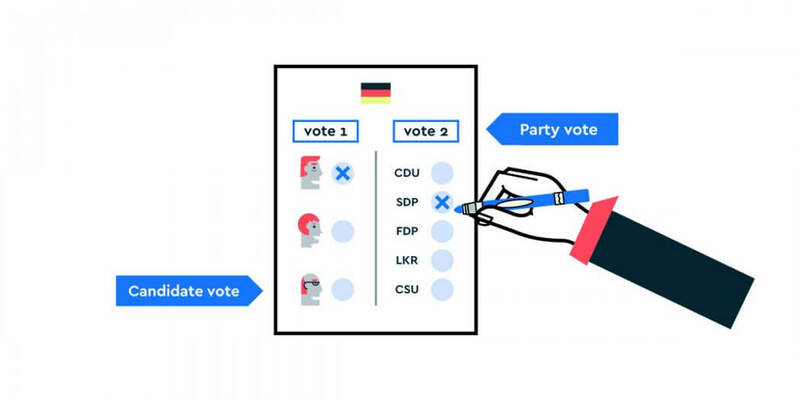 The aim of the German system is to ensure that the number of seats a party gets in the Bundestag (the German parliament) is roughly proportional to the actual votes they receive. When you enter the voting booth in an election, you get two votes. Your first vote is for the candidate you want to represent your area. Whichever candidate reaches a majority automatically earns a seat in the Bundestag. 299 of the 598 seats in the Bundestag are filled this way. The second vote is for your party of choice. Based on these additional “top-up” votes, the remaining seats in the Bundestag are allocated to the respective parties. The German laws also say a party must receive more than 5% of the total vote in order to gain seats in the Bundestag. This acts as a countermeasure against fringe or extremist parties. There is another extra rule concerning so-called “overhang seats” but let’s not go there. Believe me, your time is better spent not trying to wrap your head around it! The Chancellor will be the leader of the party who can command the majority of representatives, although they almost always rely on at least one coalition partner. Why have one trip to the ballot box, when you can have two? 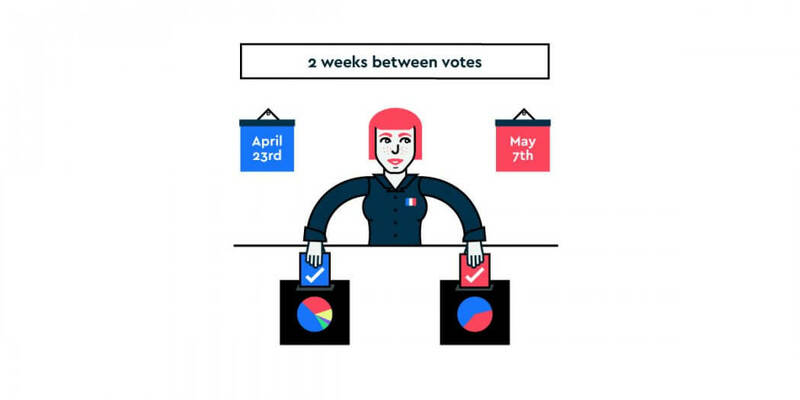 The French have two whole separate trips to the polls each Presidential election. 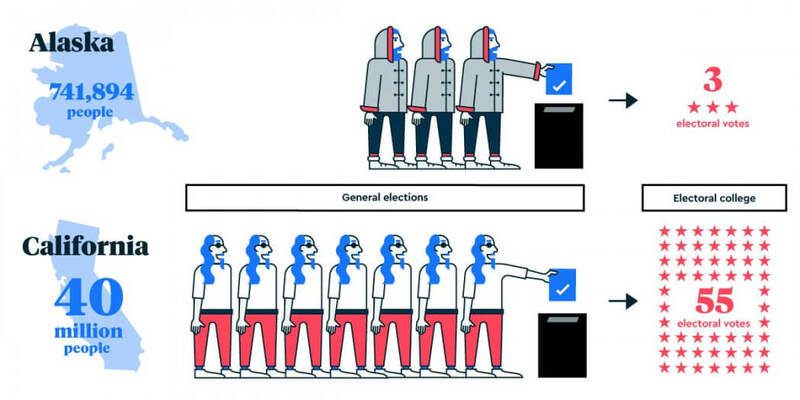 In the first round of voting, any candidate can stand, and voters have one vote to pick their favorite. Then things get interesting. If no one candidate manages to get more than 50% of the first round vote (and no-one ever has), then the two most popular candidates go through to a head-to-head runoff. The second round of voting takes place two weeks after the first. Whoever receives the simple majority in this instance becomes President. No messing around with an Electoral College or a complex top-up system in France. India is the world’s largest democracy, and, on paper, Indian elections are pretty straightforward. Similar to the United Kingdom, power lies in the lower house of Parliament, the Lok Sabha. India holds elections for the Lok Sabha’s up to 552 members every five years. Whichever party leader gains more than half the members’ support becomes Prime Minister. However, the Indian constitution does throw out some interesting elements. For a start, although the vast majority of the Lok Sabha are directly elected by the citizens of India, two members are nominated by the country’s President. In a legacy left over from British Rule, these two members are part of India’s minority Anglo-Indian community, and their role in parliament is to represent the concerns of this group. 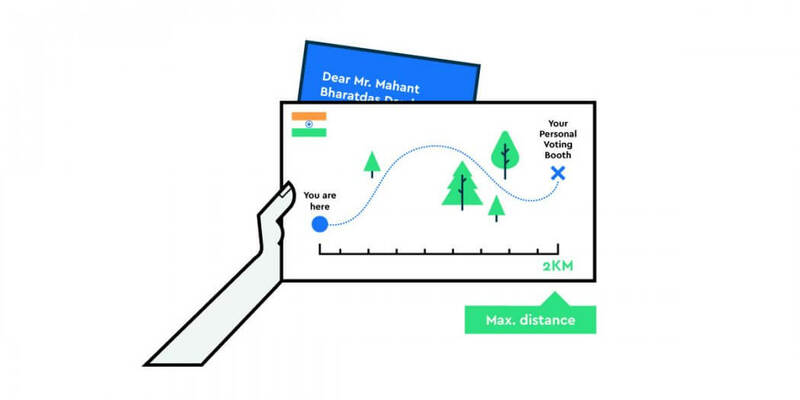 Then, there is the incredible mandate that no voter should “ordinarily travel more than 2km to reach the booth.” In vast, largely rural India, this means that many polling booths are set up for a tiny number of people to use. In the area of Gujarat’s Gir Forest, for example, the authorities build a voting booth each election for the pleasure of just a single voter, a Mr. Mahant Bharatdas Darshandas. So, as you can see, democracy might be a worthwhile approach to government, but it certainly isn’t a straightforward one. In the end, it comes down to how effective the system is in providing fair and accountable governments, and, if it does, then do the peculiarities really matter?